We’re here! OPENING DAY. Felt like forever. Now that we know who made their respective MLB rosters, and those who didn’t, I’ve got a fantasy sleeper for each division. As a baseline, All of these guys are pulled from the outside the top 200 picks, based on Fantrax ADP. Lest we forget: Stroman is only a year removed from a season where he posted a 3.09 ERA, logged over 200 innings and totaled 3.2 WAR (good for 20th in the majors). 2018 Stroman was riddled with injuries and it very much showed. From the get-go of the season, Stroman was hampered by shoulder fatigue and missed starting Opening Day because of it. A month into the season Stroman finally landed on the DL but continued to try and pitch through it. He’s not one to rack up strikeouts, but he won’t walk many batters and his carries an impressive 60%+ groundball rate. With a healthy season ahead, Stroman is a steal at this ADP. Another player who fought through an injury last season that people seemingly soured on, Schoop dealt with an oblique injury all season. There were noticeable drops in his quality of contact because of it too. His launch angle dropped 2 degrees and his exit velocity dropped 2 MPH, barrel rate dropped 2% and the hard-hit rate dropped 7%. Oblique injuries stick with you for some time and Schoop is a guy that with a healthy season should be able to return to post his 2017 stellar numbers once again. As was discussed on the first base rankings pod of Dynasty’s Child, I might be the only one on the Healy train. I understand his defense is terrible. The good news is, the defense doesn’t matter all that much in fantasy as long as it doesn’t keep him from getting at-bats. More good news for Healy, the Mariners have recently come down with the injury bug and Healy’s path to at-bats cleared. Across the board, Healy’s quality of contact is above average. In a season where his average dropped significantly, his power remained the same following up his 25 homer season in Oakland with 24 last season. This far down the draft he’s well worth the pick. The latest example of a pitcher who gets out of Baltimore and then all of a sudden is good (lord help Dylan Bundy), Gausman tore up the NL in his 60 innings with the Braves a season ago. Gausman seems to have been lost in the shuffles of the young Braves arms and with all the focus on Kyle Wright, Bryce Wilson, and Mike Foltynewicz people seem to have forgotten that Gausman is a pretty decent pitcher himself. He showed spurts of his potential ceiling with the Orioles, as pitchers usually do, but really blossomed once he was free of the shackles of Orioles pitching purgatory. I don’t blame you if his track record scared you away but there probably isn’t a better organization at developing pitchers for him to finally reach his ceiling. 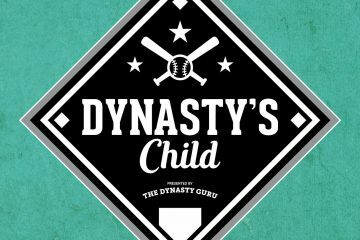 Bell was also discussed at length on the Dynasty’s Child 1B rankings pod and I was able to convince Jake Devereaux to join my side. Bell is a guy I’ve liked for a while and he’s been able to make some pretty decent gains season over the season with his plate discipline, walking at a 13% clip and limiting the strikeouts to a 17% clip. Bell has consistently increased his launch angle as well; it’s still slightly below average, but improving none-the-less. The rest of his quality of contact numbers have been mostly above average. His power took a huge step back last season but based on the tertiary stats that seems like an anomaly to me and he should be able to top 20 homers again in 2019. Prospect fatigue has probably set in on Urias after some injuries and surgery to correct his eyesight, but Urias has shown his top of the rotation stuff at times when he’s been on the mound. He returned at the end of the season last year in a relief role to post 4 innings pitched allowing no runs, no walks, one hit, and 7 strikeouts. He kept that fire going this spring, accumulating a 1.72 ERA, 0.57 WHIP, and 15 strikeouts in 15.2 innings, earning a spot in the Dodgers rotation with help from a Rich Hill injury. Although not likely to rack up a lot of innings due to the lack of innings logged over the past few seasons, when he is on the mound Urias is a blast to watch and if anything is worth a shot as a fun-to-own guy.